Vibroprocess is specialized in the engineering and manufacturing of Vibratory Equipment and can offer to customers a very high degree of experience. 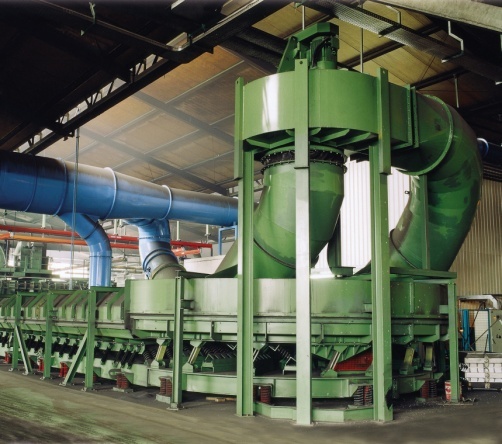 The foundry field represents one of the most important and challenging environment for Vibroprocess; a wide range of equipment have been developed to efficiently cope with the various foundry process such as: automating smelting furnace feeding, castings and sand separation, cooling of castings, feeding of shot blast equipment. 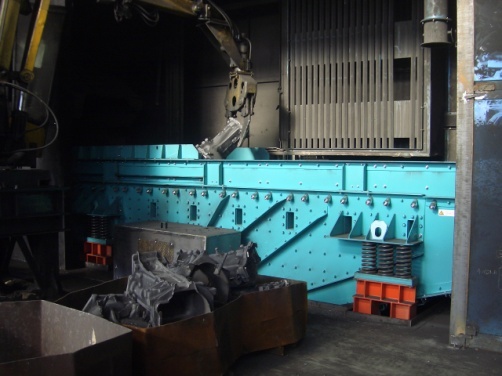 The technical staff long term experience allowed to realize some of the longest vibrating castings cooling line in the world and to develop the innovative Variocast Simplex for castings and sand separation where the angle of line of force is electronically adjusted according to type of production. The Vibroprocess “Heavy Duty Design” is characterized by the utilization of bolts and hook bolts for parts assembling and by the double frame structure thus resulting in always robust and long life expectancy equipment.